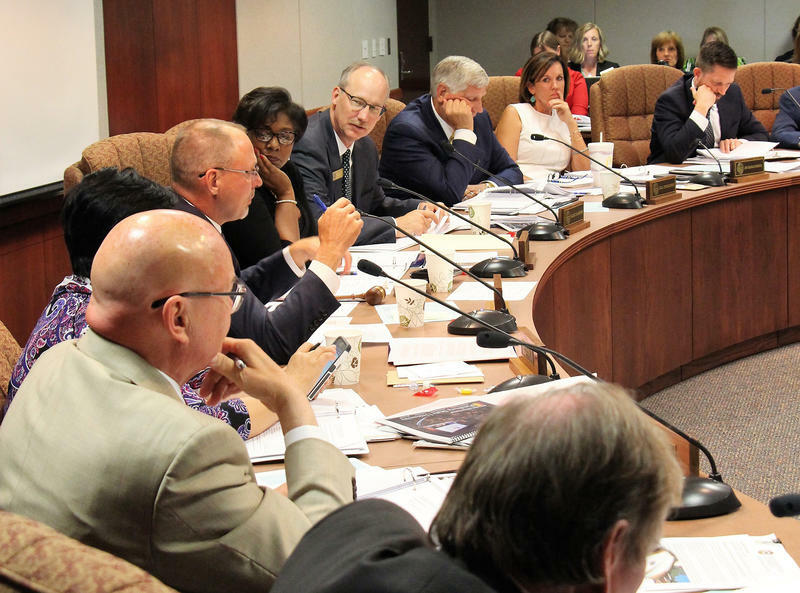 The Board of Regents usually holds its meetings about once a month in Topeka, but according to board spokesman Matt Keith, campus visits give board members a chance to learn about universities firsthand. Plus, he says, it gives those universities, like Wichita State, some valuable face time. "I think it's a good opportunity for universities to highlight those programs that they really want to as well as any challenges that they want to bring up with the board and requests that they have," Keith says. The board is scheduled to vote on new college degrees across the state, including a masters in Global Supply Management at WSU. It will also vote on changes to the retirement plan for the state's six universities and the board's staff. Board members will then get a tour, including WSU's Innovation Campus on Thursday and Friday, and also meet with student and staff.